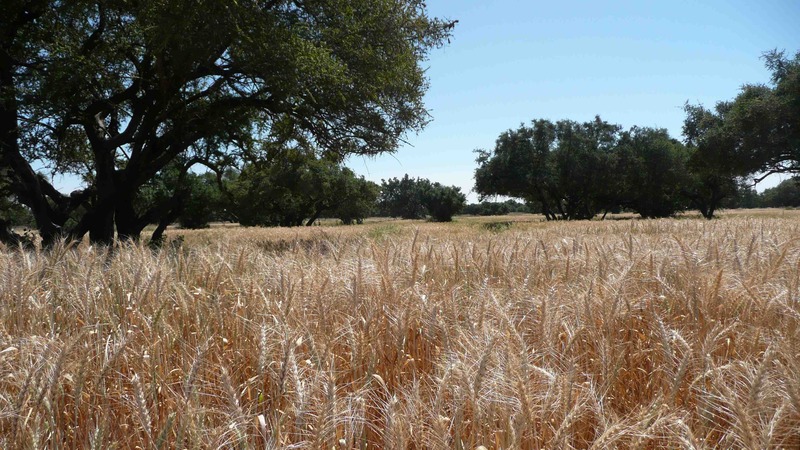 Consistent with global warming trends, observations from Morocco’s National Meteorological Directorate show rising temperatures, less precipitation, and an increase in drought, widening the gap between water supply and demand. Average temperatures are expected to rise between 2 and 5ºC by the end of this century, while rainfall is predicted to decline 20 to 30%. Morocco’s rural northeast coast, including Nador and Berkane provinces, is increasingly vulnerable to the effects of climate change, including sea level rise, storm surges, and coastal flooding. Some areas of the north coast are already eroding at a rate of 1 metre per year and the average global sea level rise (SLR) predicted by the IPCC (up to 59 cm by 2100) will exacerbate erosion. Poverty limits the ability of local residents to cope with these changes. Average farm household incomes in some communities are as low as $540 per year. Remittances from overseas relatives keep many families out of poverty, but do little to create jobs. Morocco is located in north‐east Africa, on the Atlantic and Mediterranean coast, at latitudes of 27 to 35°N. The Atlas mountain range runs through the centre of the country, forming a dividing line between the two main climatic zones, the Mediterranean northern coastal regions, and the southern, interior regions which lie on the edge of the hot Sahara desert. Temperatures in the coastal regions range between 22‐25°C in the summer and 10‐12°C in the winter. Temperatures throughout the year are considerably lower than this range at the higher altitudes of the Atlas Mountains. The wet season lasts between November and March, affecting only the north of Morocco, with an average of 50 to 100mm per month. The country programme report is a consolidated report for all activities and outcomes of the GEF SPA Community-Based Adaptation Project. Reporting period is from 2008 to 2102. Presentation from the First Day of the Community-Based Adaptation Workshop in Kingston, Jamaica - July 2009. The cross-cutting capacity building project is designed in closed partnership with NHDI process and will reinforce its effectiveness by a full-fledge global environmental mainstreaming into the process of local development. Benefits of global environmental management through improved land and water management, reversing habitat loss, climate risk management and low carbon development trajectories will be brought into the local development agenda. Local development, supported by the flagship NHDI process, is inherently a cross-sectorial process, whereby all sectoral objectives are brought together in the context of territorial planning and socio-economic development at sub-national level. Therefore, integrating global environmental management targets synergistically into the context of local development offers the way of effective and efficient implementation of Morocco’s obligations to the Rio Conventions. During the last 30 years, Morocco has embarked on a gradual, but solid program of human development and political liberalization. Since the 1970s, gross national income per person has more than tripled from $550 to $1750. The average life expectancy has increased from 55 in 1970 to 71 in 2005. One of the key development challenges is Morocco’s high incidence of poverty. Although poverty has declined from 19 to an estimated 15 percent over the period from 1999 to 2004, this rate remains high. Poverty continues to be typically a rural phenomenon, with more than 25 percent of the rural population living below the poverty line, compared to just 12 percent of the urban population. The depth and severity of poverty is also much higher in rural areas, and has increased significantly since 1991. Apart from macro economic, governance and rule of law and socio-economic causes high incidents of poverty largely relate to agriculture and food production systems, chronic water scarcity that in prolonged drought situations often aggravate shortages. Clearly poverty is subject to deterioration in the event of repeated drought and the ensuing low growth rates. The cross-cutting capacity building project is designed in closed partnership with NHDI process and will reinforce its effectiveness by a full-fledge global environmental mainstreaming into the process of local development. Benefits of global environmental management through improved land and water management, reversing habitat loss, climate risk management and low carbon development trajectories will be brought into the local development agenda. Local development, supported by the flagship NHDI process, is inherently a cross-sectorial process, whereby all sectoral objectives are brought together in the context of territorial planning and socio-economic development at sub-national level. Therefore, integrating global environmental management targets synergistically into the context of local development offers the way of effective and efficient implementation of Morocco’s obligations to “Rio Conventions”. Morocco has ratified the Rio Conventions in order to subscribe to the international framework of global environmental management and has, likewise, met its commitments through the adoption of strategies and reports to the conventions. The NCSA Project, which was launched in 2004 and operationally completed in 2006, sought to identify national priorities and requirements in terms of capacity enhancement in the area of global environmental management, notably in what concerns Biodiversity, Climate Change, and Desertification. The aim was to catalyze sustained actions both at the national and local levels. The NCSA undertook eight consultations which fall within its agenda, notably in what concerns the inventory of Conventions: identification of capacities which warrant enhancement; and developing capacity-building strategy. Among the essential priorities identified and recommended by the NCSA, enhancement of capacities of local actors (communities and authorities) so that they may better translate national commitments to the three conventions into concrete local actions is among the top priorities. Current process of decentralisation dictates a greater emphasis on local capacities to enable more effective local decision-making and action. This has been identified as strong recommendation of NCSA in Morocco which constitutes the basis of the present project. The proposed project addresses the objectives of the three GEF focal areas (biodiversity, climate change, and sustainable land management), and specifically fits under the strategic priority related to Cross-cutting Capacity-Building (CB-2). The project is also fully in line with the Interim Guidelines for Cross-cutting Capacity Building Projects. The project is specifically in line with the CB-2 programming framework related to: “Mainstreaming Global Environmental Priorities into National Policies and Programs,” whereby the CB-2 projects would focus on developing capacities for countries to improve their ability to meet their obligations under the three Rio Conventions by integrating global environmental priorities into national policies, plans and programs, particularly macro-economic and poverty-reduction programs/strategies. Morocco has also developed significant legal mechanisms relating to sustainable development and environmental management. Nevertheless, the updating of the legal framework now proves to be necessary and urgent. The current framework needs to be supported by robust environmental data and strategic directions to address the various threats country’s natural resources. Improvement of legal framework and a decision-making set up are necessary for the implementation of the Rio Conventions. This will also contribute to the consolidation of the rule of law and will foster progress and sustainable human development. At the local level, the main tool of local planning is the Plan for Economic and Social Development (PESD), which is established annually by the Communal Council and transmitted to the Provincial entities for budgetary allocation. The development process of the PESD doesn't integrate such mechanisms as consultations with local communities, nor does it make use of any clear and transparent method for determining and organizing local needs. The basis of this project is to contribute to the consolidation of this PESD development process and integrating the global environmental objectives in this process. Several public and non-public institutions in Morocco are closely involved in the implementation of policies and programs pertaining sustainable development and the global environmental management. The key governmental institutions will be directly engaged into this project. The project is based on partnership with local authorities at the communal, provincial, and regional levels. The partnership will materialise through a set-up of consultation mechanisms between various elected councils (regional, provincial, and communal) and their chairpersons and the representatives of local authorities –namely the Wali (of the region); the Governor (of the province), and the Caid (of the community). The project will also ensure the involvement of local and national NGOs, as well as local and village organizations and associations (Cooperatives, Women’s Associations, Village Associations). It is essentially this inadequacy in the development of the PESD which the NHDI attempts to address at the level of 403 rural communes and 250 urban communes which have been declared as being priority areas for intervention. The NHDI has opted for a participatory and consultation-based process for the devising of a local development plan which will be developed by 2010 and culminate in the drawing up of PESDs for all the country’s communes. Contributing to this process. The integration of the environmental component constitutes the basis of the present project. All three conventions recognise the linkages between the global environmental management issues and efforts for poverty reduction. 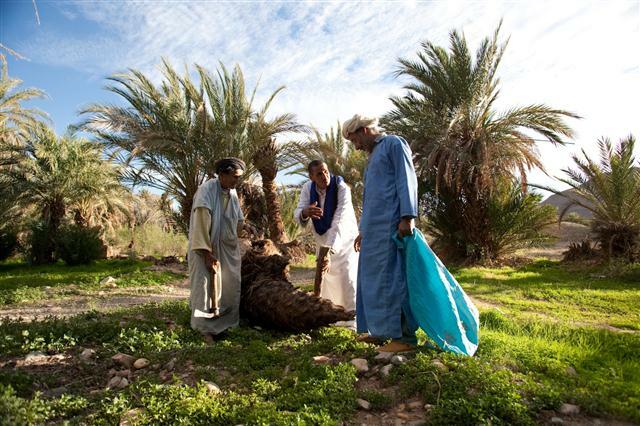 The NHDI process drives the poverty reduction agenda in Morocco, whereby global environmental management issues, such as desertification and drought, biodiversity loss and climate change will be brought into the mainstay of this local development process. The OECD guidelines about the integration of Rio conventions into the development underline importance of global environment mainstreaming into the poverty reduction strategies and other national or local planning processes. The proposed project will follow the key principles and recommendations outlined into the OECD/DAC guidelines and in so doing, avoid creating specific capacities tailored to1 the demands of the Conventions, but isolated from the national policy and planning process . The project will also apply OECD’s good practice guidance on environmental mainstreaming by applying Strategic Environmental Assessment methodology2. The project is already conceived in a way that allows SEA tools and methods to be employed. By targeting a nation-wide, local development planning process (NHDI) the integration of global environmental issues will take place in a comprehensive way, encompassing priority setting, budgeting as well as indicator framework for monitoring and evaluation, constituting the entire cycle. This methodology will help ensure a full-fledge integration. Besides the considerable funds (10 billion Dirhams to be invested between 2006 and 2010) that have been earmarked for its programs, the magnitude of NHDI may also be appreciated by way of its overall approach, which takes into account decentralization and increasing de- centralization of State structures. The NHDI thus provides an important basis for conception and implementation of the project. All the actors operating in the area of development have agreed that the inadequate capacities of local actors constitute a major obstacle to any successful establishment of a perennial dynamics of local development. The same observation has been made by the NCSA: these insufficiencies thwart the creation of synergies conducive to the implementation of the three Conventions and their effective incorporation into the reality of local communities. The project has identified a strong demand for the integration of GE aspects in the existing consultation and planning tools. There is not a real need for re-inventing new tools, for many programs, notably the NHDI and the current local strategic planning process, have efficient tools. The problem has to do with the fact that the environmental aspect is not sufficiently addressed, especially country’s global environmental objectives as per conventions’ requirements. Notwithstanding the multiplicity of planning tools, the NHDI and the local strategic planning process, stand out as being the most complete and is thus poised to be extended to all the country’s communes. For the time being, the NHDI covers 403 rural communes and 250 urban communes and the local strategic development Plan covers remaining rural communes. But the process will steadily be adopted by the other communes. The project has thus been elaborated taking into account the above stakes and the long-term goal of fulfilling country commitments to the global environmental management in the context of fiscal and governance decentralization process currently underway. The project specific objective is to integrate global environmental objectives of Morocco into the NHDI and local strategic development planning, budgeting and monitoring processes. Outcome 1: The institutional framework for the integration of GE management in the NHDI and local strategic development planning and monitoring is developed. Output 1.1: Methodological approaches and tools for integrating global environmental commitments into the development planning at local level are consolidated and introduced. Output 1.2: The institutional mandates and procedures for environmental mainstreaming at the provincial, regional and national levels are clarified. Output 1.3: A set of global environmental indicators to be part of the monitoring system of the NHDI and strategic local plans is introduced. Output 2.1: Priority global environmental targets to be addressed by the project are identified and agreed upon by all project partners as part of the NHDI and strategic local planning activities. Output 2.2: The capacities of concerned stakeholders to integrate priority GE issues into local development planning are strengthened by targeted training, procedural and institutional arrangements. Output 2.3: Testing a new planning approach with global environmental targets and indicators at local and regional level in the framework of NHDI and strategic local planning process for methodological validation and procedural approval. Output 3.1: Project management infrastructure in place. Output 3.2: Communication and knowledge management mechanisms established and operational to identify lessons and good practices for global environmental mainstreaming into the development planning. Project Terminal Report: This comprehensive report will summarize the results achieved (objectives, outcomes, outputs), lessons learned, problems met and areas where results may not have been achieved. It will also lie out recommendations for any further steps that may need to be taken to ensure sustainability and replicability of the project’s results.